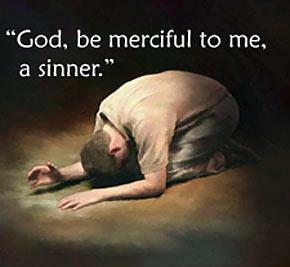 We all desperately need the mercy of God. But None of us is worthy of God’s mercy. That’s the point. When someone throws themselves on the mercy of the court, they are not claiming innocence. they are asking, while admitting their guilt, that the judge forgive them for the penalty their offense deserves. A wrong has been committed. The penalty has been paid for us. The Pharisee was confident he was righteous before God because of his good works. He gave money to the temple, to God, and he fasted twice a week. He boasted about how good he was compared to robbers, evildoers, adulterers, and the tax collector. Don’t we sometimes do that? 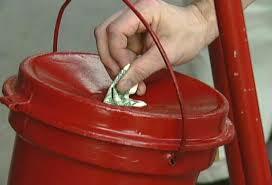 We boast about feeding the homeless, volunteering at the animal shelter, giving money to the children’s hospital. And we compare ourselves to alcoholics, panhandlers, murderers, cheaters. We are not as bad as them, we say. Somehow, we hope we are good enough to earn God’s mercy. That is a contradiction in terms. We think we can earn forgiveness. That is a human idea…earning mercy. All we need to do, like the tax collector is cry out to God for Mercy. God have mercy on me a sinner. This is the Good, Good News. In contemplating Mercy this year, I have been amazed at how hard my own heart is in response to the needy. Yet this is a major theme of the Bible, especially the Old Testament prophets. As Christians, it is not our calling to condemn the poor, but I hear a lot of that going on. “All they want is a handout,” is sneered. In the last six months, my husband has been battling to keep his job, which is threatened due to a company takeover and their subsequent efforts to dispense with long-term employees. We have had to adjust our priorities and contemplate giving up luxuries (cable TV, eating out, shopping at Aldi’s instead of Family Fare or Meijer). I say this not for the sake of seeking sympathy, but simply because I have been thinking more about those who are less fortunate than we are. My daughter says that “poverty is gripping.” As working class people with decent jobs, we have not suffered poverty. Even if my husband would lose his job, he can get Social Security. He would not be without income. I have been thinking about all that I am thankful for as Thanksgiving approaches. And as we contemplate downsizing, what can I give in response to that thanks giving? My kids knew to never, ever, said this to me. I would find something to keep them busy. They are grown now, and will tell you this was true in our family. I am talking to myself here. The post last week, Gathering the Evidence, has led to more introspection. The Bible says that the Holy Spirit will remind us of Jesus’ words. So….these words came back to me in the past few days. Do I pray for those who offend me or intercede for them? Or after I am offended (I am weak, and sometimes the rush of emotions overwhelms me), do I dwell on the offense? When I dwell on the offense, I take on the role of the accuser. Oh, it takes faith to pray, to intercede instead. But when we go before the throne in prayer, God hears us. “12 For the word of God is quick, and powerful, and sharper than any two edged sword, piercing even to the dividing asunder of soul and spirit, and of the joints and marrow, and is a discerner of the thoughts and intents of the heart.